I’ve said before that PSN and to some extent, Xbox Live are trying to be a little more like Steam, offering great games on the cheap, not too long after they’re released. Sales have been popping up on both services, practically giving away games. I bought Ni No Kuni in the last one, for less than a terrible take-out meal. 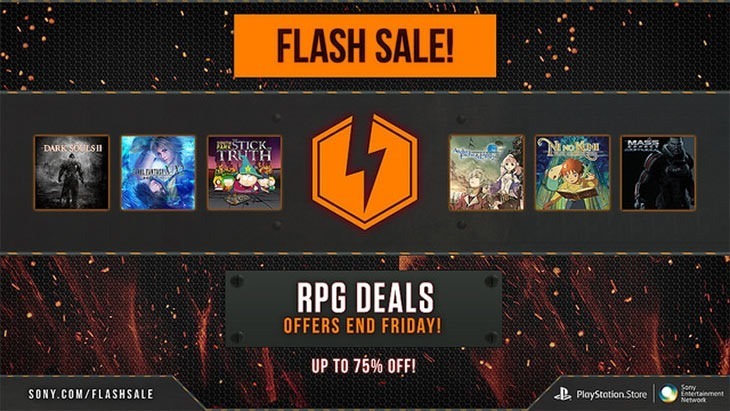 And if RPG’s are your thing, the newest PSN sale will be right up your alley. Unfortunately, this is for US PSN users only – so while there are great specials to be had, you’d need a secondary account if you’re from anywhere else in the world. That’s not a bad list at all, with a bunch of great games – like Dragon Age Origins, Ni No Kuni and Kingdoms of Amalur – going for a measly $5. Once again, it is only available to US PSN users. These prices will remain valid only until tomorrow. If you are from European territories, don;t feel left out though. There’s a Pre-E3 sale now on. Here’s what you can pick up on the cheap. Incredible Connection slashes 50% off selected EA games.